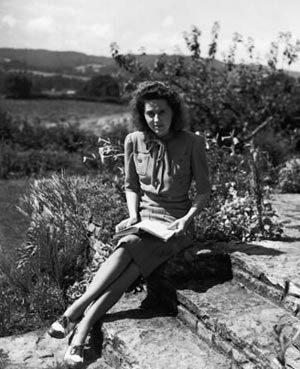 Odette Sansom (1912 – 1995) – a French/British spy who worked as an SOE operative in occupied France. She was captured by the Gestapo and sent to Ravensbruck concentration camp, but survived the war. Odette Sansom was born in France, but later moved to England. In 1941 she responded to requests by the War Office for people to send photographs of France. These photographs encouraged the war office to recruit Odette into the Special Operations Executive SOE; the SOE was responsible for training agents to be dropped into France. After receiving basic training in England, she was taken to France by boat in October 1942. For over a year, Odette using the codename Lise, worked as a radio operator, for group leader Peter Churchill. Radio Operators was one of the most dangerous tasks, as the Gestapo were always on the lookout for radio signals. The fact she survived undetected for over a year is testimony to her care and professionalism. She was betrayed by a double agent, ‘Colonel Henri’ in April 1943. Colonel Henri was a German officer who claimed he wished to work for the allies. Despite, Odette’s suspicions, his involvement led to her arrest. She was taken to Fresnes Prison in Paris, where she was interrogated and tortured on many separate occasions. The torture involved, beatings, having her toenails torn out and her spine branded by a hot iron. Yet, despite the torture and pressure, she remained firm to her story. She maintained she, not Peter Churchill, was the leader; she also refused to give any information about other members. Eventually, she was sentenced to death and sent to Ravensbruck concentration camp for her execution. However, her execution was never carried out. The Gestapo believe that her ‘husband’ Peter Churchill was related to Winston Churchill. The SS wanted to keep her as a bargaining tool. During her internment, she suffered brutal treatment including long periods of solitary confinement in the dark. But, eventually the camp was overrun, and she won her freedom as the Camp commandant tried to use her as a hostage. Despite her appalling treatment, she was not over consumed with bitterness. Instead after the war, she worked for various charities seeking to lessen the pain of war. 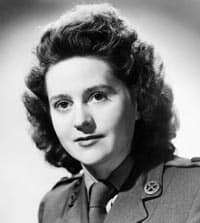 For her service, she was awarded the George Cross. Her humility meant she was not keen on accepting the award, but she did accept it on behalf of all agents who suffered during the war. She briefly married, Peter Churchill, before marrying her third husband, Geoffrey Hallowes. She died in 1995 aged 83. Citation: Pettinger, Tejvan. “Biography of Odette Sansom”, Oxford, www.biographyonline.net, 16th Mar 2008. Last updated 8 February 2018. 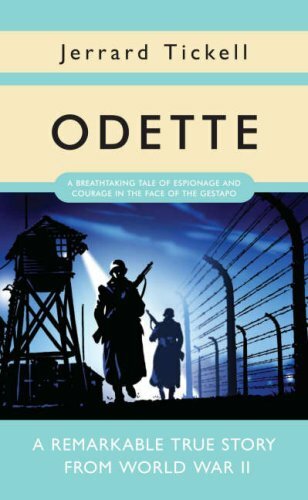 Odette – Her Remarkable True Story by Jerrard Tickell at Amazon. Carve Her Name With Pride – Film based on the life of Violette Szabo.